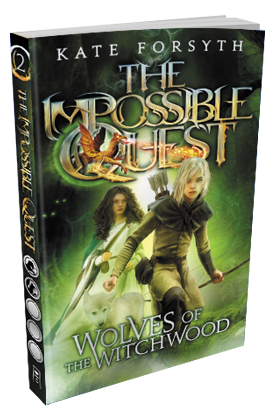 The Impossible Quest is set in the faraway land of Wolfhaven. It tells the story of four kids who are forced into an impossible quest to try and awaken the legendary sleeping warriors of the past. Quinn, Sebastian, Elanor and Tom have defeated the black witch Githa and found the last crucial piece of the prophecy—the sea serpent's scale. Back now at Wolfhaven, they search desperately through the castle crypts for the sleeping heroes, who they hope will save them all… before the dark moon rises and they lose everything. Quinn, Sebastian, Elanor and Tom have found a dragon and conquered the dreaded Beast of Blackmoor Bog. Only one item remains on their impossible quest—the scale of a sea-serpent. 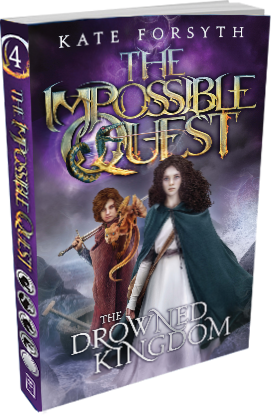 Now they must journey to the drowned kingdom, where they will face their deadliest challenge yet. And there they will uncover the truth behind all that has happened... the truth that will change everything. Something huge and black and hairy. 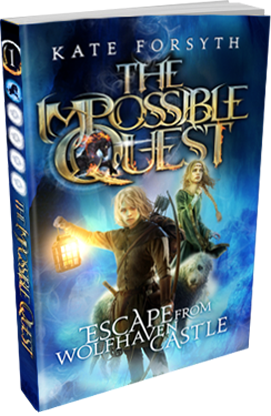 After escaping the bog-men in the wilds of the Witchwood, Sebastian, Quinn, Elanor and Tom journey south on their impossible quest. 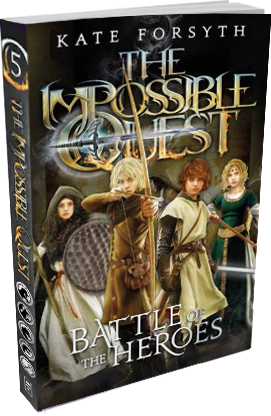 Sebastian and Elanor seek help from Crowthorne Castle, but both allies and enemies will reveal themselves. Tom and Quinn venture into the mysterious moors ... where a hideous beast lies in waiting. I know every hidden path through these woods. Trust me. There is no griffin in this forest. Hunted by Lord Mortlake, Tom, Quinn, Elanor and Sabastian flee for cover. The unicorn leads them into the darkness of the Witchwood, where they meet Wilda the witch. Can she be trusted? Danger surrounds, but there's no time to lose. 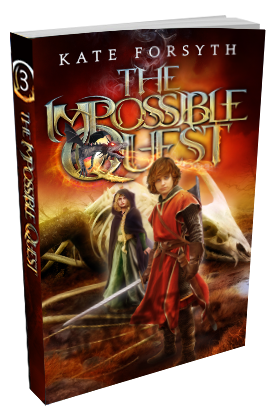 The four unlikely heroes must find the griffin, dragon and sea serpent before it's too late.